Like George Washington, I cannot tell a lie. I feel a strong, deep-rooted envy for women who can leave the house without throwing on even as little as tinted moisturizer and yet still look perfect because, frankly, I am not one of those women. I need to start with moisturizer, then prime, then conceal and then set the foundation for a (fake) flawless face. I’ve gotten the chance to check out a few awesome concealers, primers and foundations, and here are my favorite ones! This foundation, the best-selling all-star of the Perricone MD line, was born out of celebrity makeup artists’ need for a foundation that would let the skin’s natural beauty shine through. 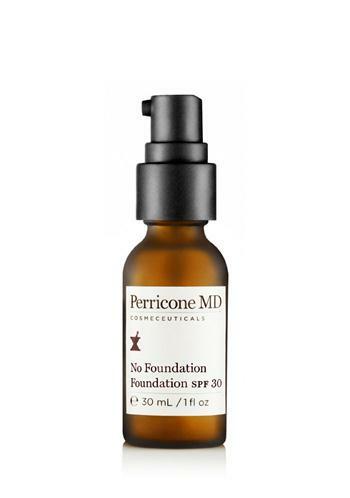 “I took special care in formulating No Foundation Foundation with a non-chemical SPF 30 to deliver protection against sun damage, making it ideal for all skin types, even the most sensitive,” Dr. Perricone says. The translucent foundation gives the skin a dewy finish while masking undertones and imperfections. If you need more coverage you can build or use the No Concealer Concealer (available in May 2012), another one-shade-fits-all formula, which covers dark circles and blemishes. Also there is an added plus for being formulated by a doctor that really knows his skincare, I love Perricone MD for all my face wash needs. I love the fact that the foundation corrects my uneven skin tone while simultaneously making me feel like I do not have on makeup. I would warn those with much lighter skin tones to mix this with a tinted moisturizer/foundation in their shade, as the one-shade-fits-all shade can be a bit dark. I’ll just throw it out there: Rimmel London is one of my all-time favorite beauty brands, whether we’re talking drugstore or Sephora products. There’s something about this line that always has me leaving the store with a few new things in hand; with these prices who can blame me? 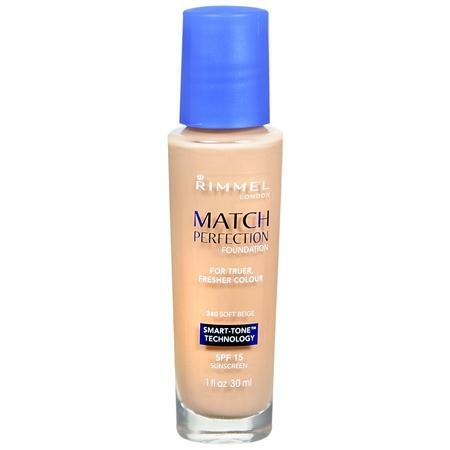 At $5.99 there is no better bang for your buck than Rimmel London’s Match Perfection Foundation. This SPF 15 creamy blend comes in a variety of 16 shades for all skin tones and undertones, whether you are a warm, true or natural. The Smart-Tone technology mimics skin tone and texture while blue sapphire gives a flawless finish. I have been wearing this awesome foundation every day since scoring it. I love how much coverage I get, and I would be amiss not to share that Rimmel London’s Fix & Perfect Pro Primer is the perfect prep before applying, and that the Match Perfection Concealer expertly covers my under-eye (and arch-nemesis) circles (plus, it doubles as a highlighter!). If you haven’t heard about Rae Cosmetics yet, listen up! 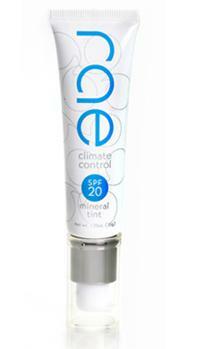 This oil-free, mineral-based makeup was designed for women-on-the-go and has quickly become a favorite among athletes. 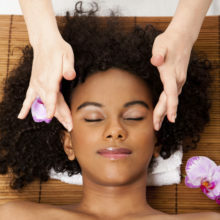 The product line was inspired by minerals and pigments that exist in nature, in order to work with all skin tones and types, and the products contain a micro-crushed blend of clinical-grade nutrients, antioxidants and non-chemical sunscreens designed to keep the skin healthy and protected. 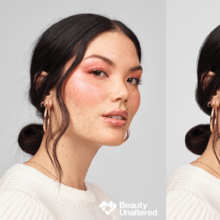 Tinted moisturizer has always been my favorite product for summertime, and now that I’ve discovered Rae’s SPF 20 Climate Control Mineral Tint, designed to stay put when you sweat, I’ve found my new beach go-to! This water-based foundation truly stays put all day, yet lets my skin breathe so that I can finally feel like one of those lucky no-makeup ladies! 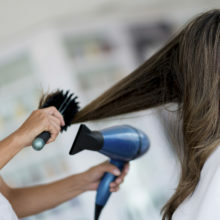 A great companion product to use with it? Rae’s Surface Primer. This SPF 20 primer gives a matte-finish and extends the life of your look. I never really had a MUST-HAVE item in my makeup arsenal — until now. Skindinavia makeup finishes are, in one word, amazing. Skindinavia uses the brand’s patented Temperature Control Technology ®, which keeps makeup from creasing, drying out, becoming shiny or melting. They seriously give a perfect all-day look and hold makeup in place all day. Like a house, every face needs a proper foundation and a roof to keep it protected, and Skindinavia is that roof!